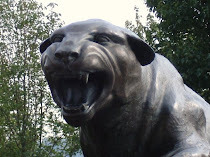 Pitt gets ready for yet another road game on Wednesday vs. the hated Huskies. I've got to admit that this game just doesn't feel the same without the likes of DeJuan Blair, Sam Young, and Hasheem Thabeet. But it should still be a big one. These two teams have been the best in the Big East over the past decade. Would have been nice if UCONN had been able to come away with a win yesterday. As if UCONN needed yet another reason to get up for the game. More than a decade later, Albert Mouring vividly remembers the wild scene at Fitzgerald Field House. Mouring, a former guard for Connecticut, recalls the assist that set up his fadeaway 22-footer with 9 seconds to play. He still can see Vonteego Cummings' errant inbounds pass, and Khalid El-Amin's game-winner as the top-ranked and eventual national champion Huskies, down by four with 11 seconds to play, stunned Pitt, 70-69. 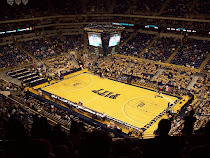 El-Amin punctuated the Dec. 12, 1998, win by jumping on the scorer's table and taunting the stunned Pitt faithful, some of whom tossed plastic water bottles at the gloating point guard. "I guess the fans were pretty upset that they lost the game," said Mouring, who lives in Maryland. UCONN has played a bear of a schedule this year and a few nice wins. They've already played Kentucky and Duke as well as Georgetown and Cincy. Oh, and they've still got Texas as well in addition to Louisville, Syracuse, and Nova on the road. Ouch. I'm sure UCONN doesn't want to lose thiks game and fall to 11-5. Obviously a loss wouldn't derail their tournament hopes, but Pitt has a little more margin for error at this point. The other thing to take into account is that you've got to think that UCONN still remembers those two defeats last year. I think this game matches two pretty evenly matched teams and expect a game down to the wire with the early edge to UCONN as it's a home game for them.